For Immediate Release – Tuesday January 6, 2015 – Todd Merrill Studio Contemporary (www.toddmerrillstudio.com) is pleased to exhibit a dynamic selection of works by critically acclaimed artists Niamh Barry, Joseph Walsh, K. Gretchen Greene, Markus Haase, Shari Mendelson, Gary Magakis, Molly Hatch, and Jan Yoors. The curation of their work together at FOG reveals how each has pushed his or her own chosen medium to its aesthetic limit. 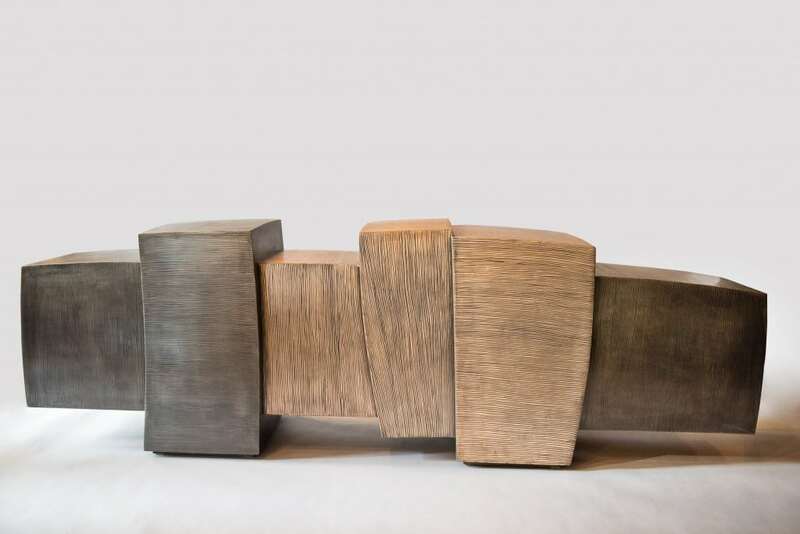 The result: sinuous, elegant, and intelligent forms that alter the ways in which metals, wood, and LED may be reimagined across design and art. 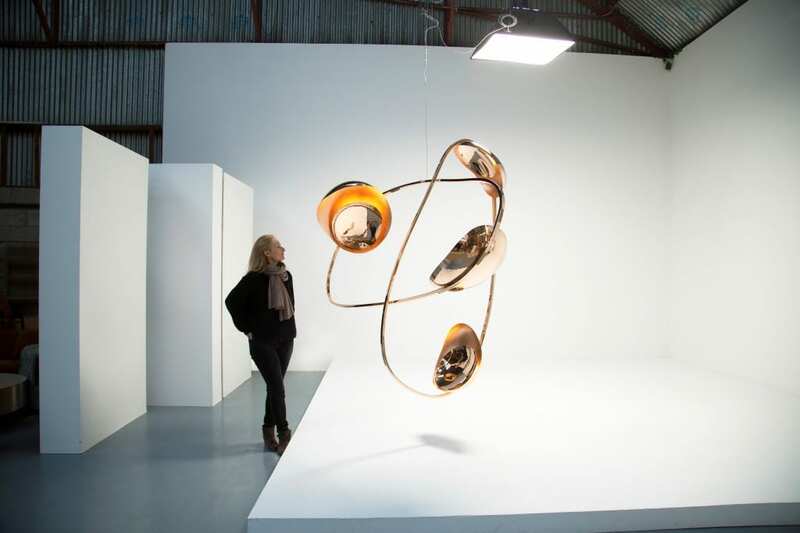 Illuminating Todd Merrill Studio’s booth will be two extraordinary light sculptures by Niamh Barry that may be experienced differently from every angle. The uniqueness of an evolving sculpture that interacts with the viewer and its environment is what renders her work so compelling. Barry’s new suspended work Counterpoise features hand-raised mirror polished bronze vessels floating amidst the artist’s signature hand-formed bronze rings. The combination of vessels and rings works together in perfect harmony, like a pair of dancers in motion. 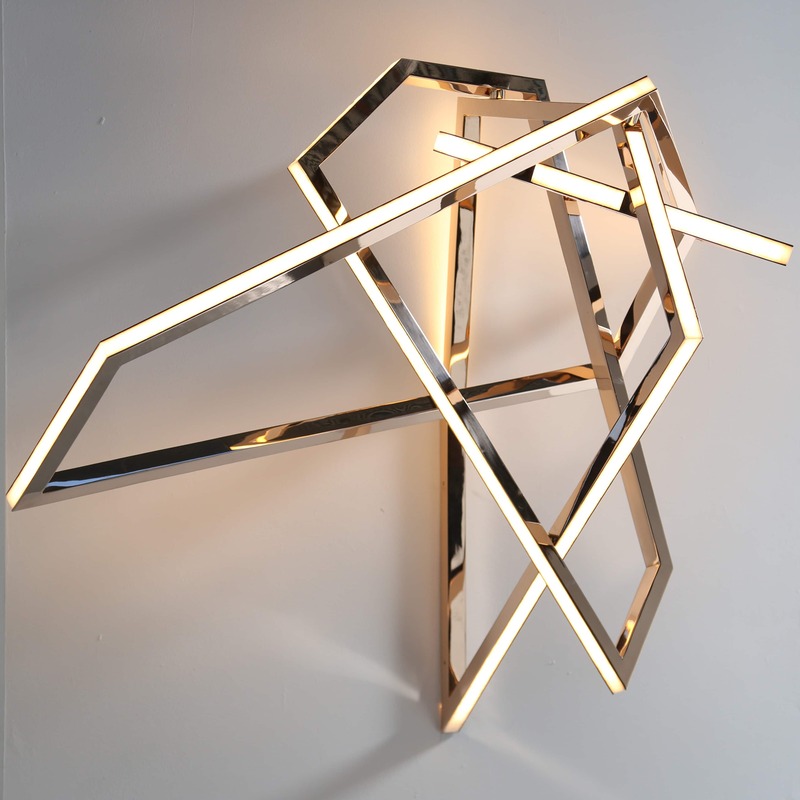 Gesture, Barry’s newest wall-mounted light, forgoes her classic free-form shapes for geometric, gesticulating angles. Powered by LED, Barry’s work truly defines the 21st Century; it is at once materially driven by today’s technology while also handmade by a studio artist singular in her production of each work. Since Merrill first showed Barry’s work in 2012, she has become acknowledged as a distinctive design icon creating one-of-a-kind commissions for top interior decorators and art collectors worldwide. 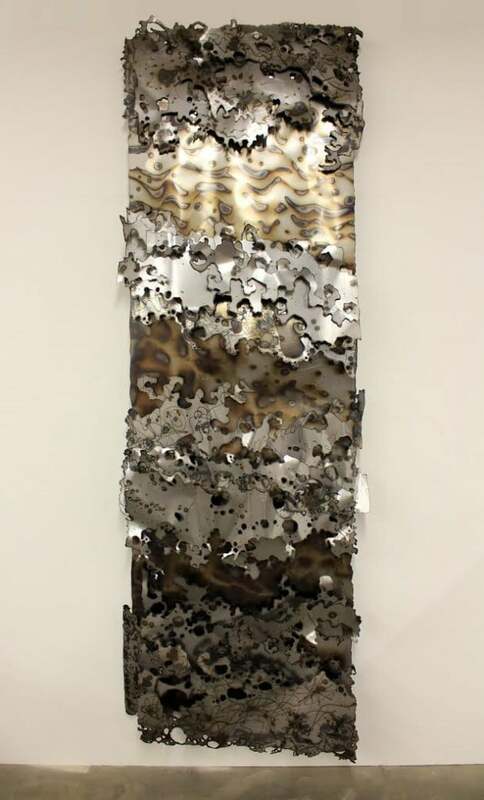 Complimenting Barry’s aesthetic of metals in movement, will be K. Gretchen Greene’s newest work River, a welded-steel and lacquered sculpted panel from which torched text and plasma cut forms both narrate the artist’s recollections and suggest the currents of a lively river. Comprised of overlapping panels, River may be hung as a triptych, vertically or horizontally. Seeking the limits of her tools and material, Greene heats, hammers, bends, curls, and overlaps steel. Then, with graceful sweeping gestures, she writes with fire, leaving silver, bronze, and cobalt tones to mark the passage of time. Furthering the diversity of steel and bronze, the booth will debut a 6-paneled, 5-door hand-striated console by sculptor Gary Magakis. Though sharp at first glance, its rectangular parts are actually gracefully curvilinear, as the entire piece lacks any straight lines or edges. 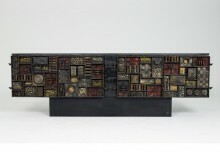 Magakis’ cantilevered end cabinets allow the taut rectangular structures to float; this levity, which further contrasts to the solid striated steel and bronze, renders the piece at ideal aesthetic equilibrium. 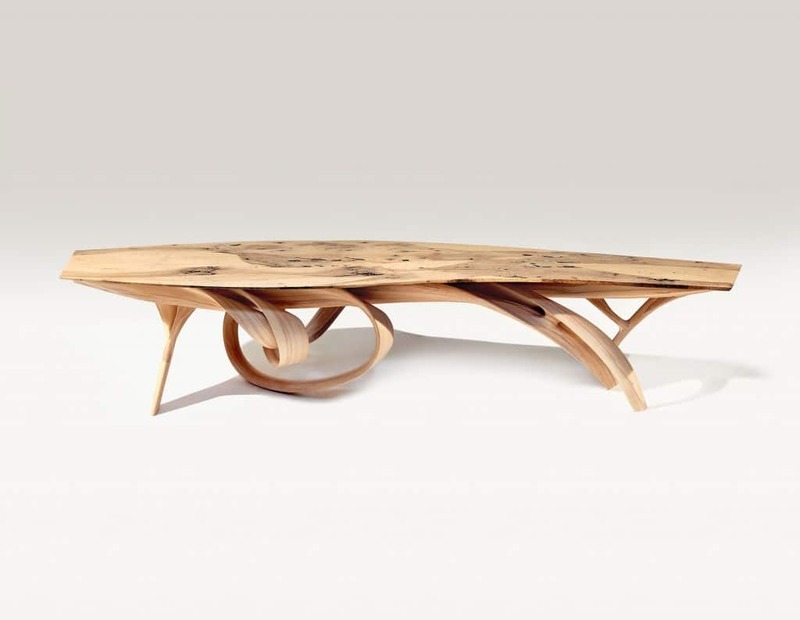 The booth will also debut a unique 11-foot long ash dining table from the Enignum Series by Joseph Walsh, whose signature woodworking technique allows pieces to evolve and grow, rather adhere to predetermined forms. In this series, Walsh strips wood into thin layers, manipulating and reconstructing them into free-form compositions. 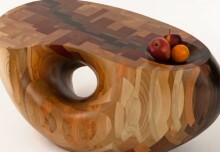 The layers are then hand-carved to reveal both the honesty of the structure as well as the sculpted form. Complimenting Walsh’s table is an ash and copper-leafed screen from the artist’s Equinox series, which emphasizes the relationship between light, shadow, layering, patterns, and the passing of time. Serving as the backdrop to the booth is a monumental 24-foot long Tapestry by Jan Yoors. Similar examples of Yoors’ work are found in the collections of the Metropolitan Museum of Art, the Museum of Arts and Design, and the Art Institute of Chicago. A selection of Shari Mendelson’s hand-made sculptures, inspired by ancient vessels and made entirely from discarded plastic bottles, will also be exhibited.